Darlings, here are the beauty and home product CC is loving right now! 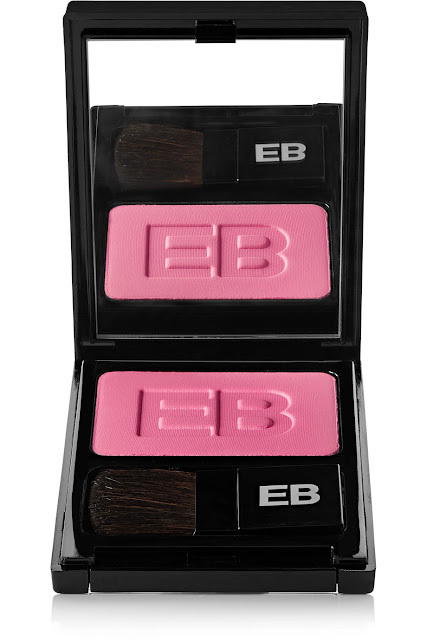 Edward Bess Blush Extraordinaire in Bed of Roses, at net-a-porter.com. 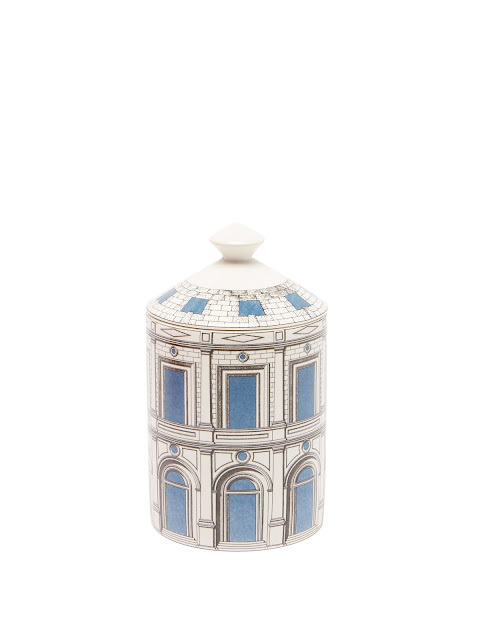 Fornasetti Palazzon Celeste Otto scented candle, at mytheresa.com. 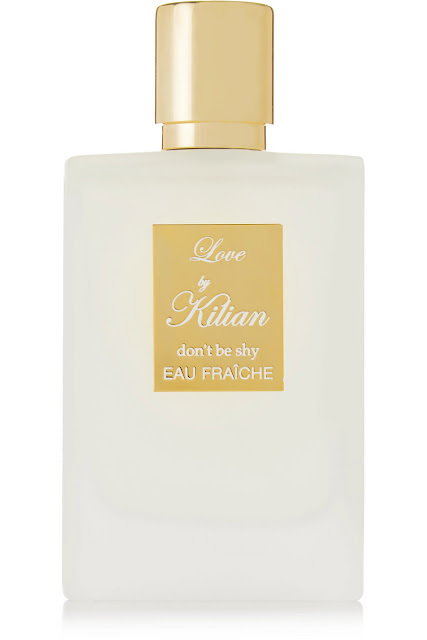 Kilian Love Dont Be Shy Eau Fraiche, at net-a-porter.com. 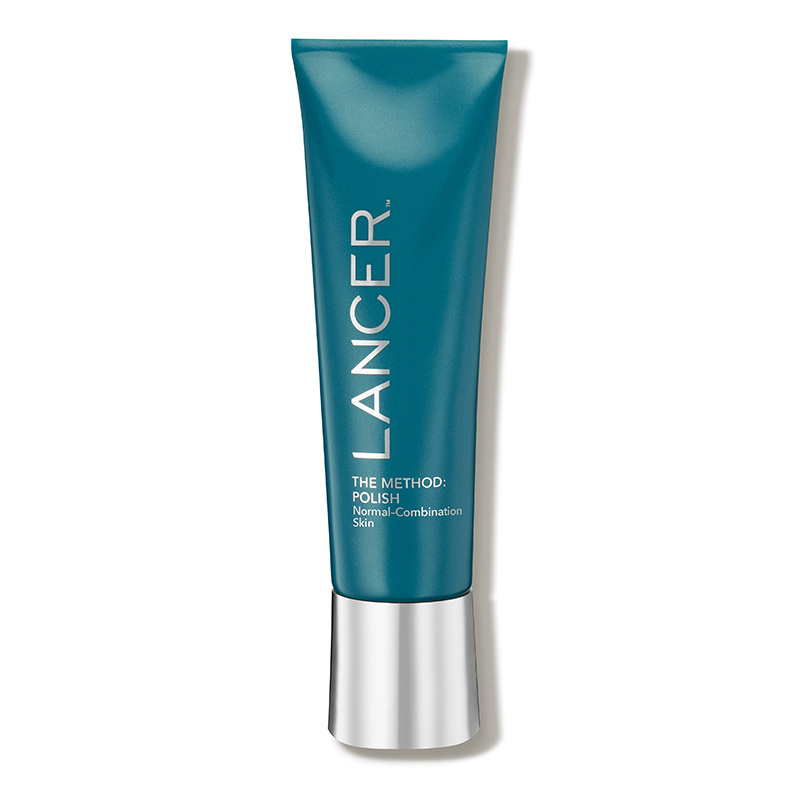 Lancer The Method Polish facial scrub, at lancerskincare.com. 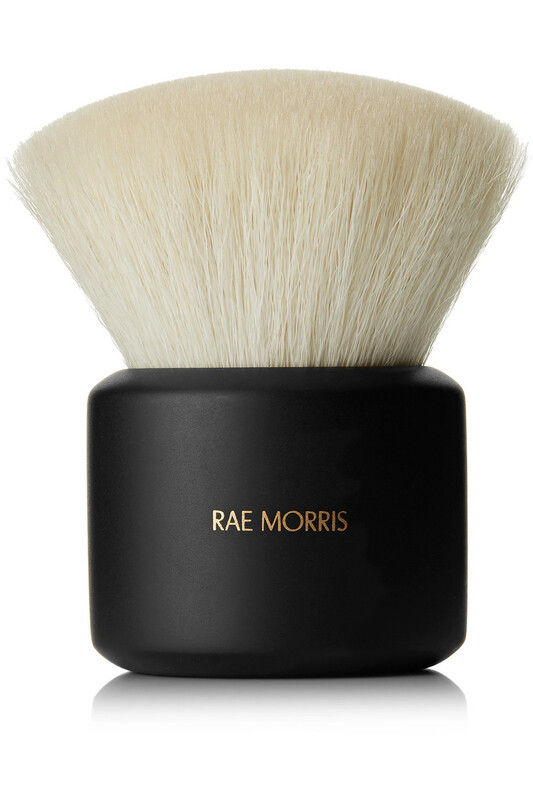 Rae Morris Jishaku 28 Deluxe Radiance Brush, at net-a-porter.com. 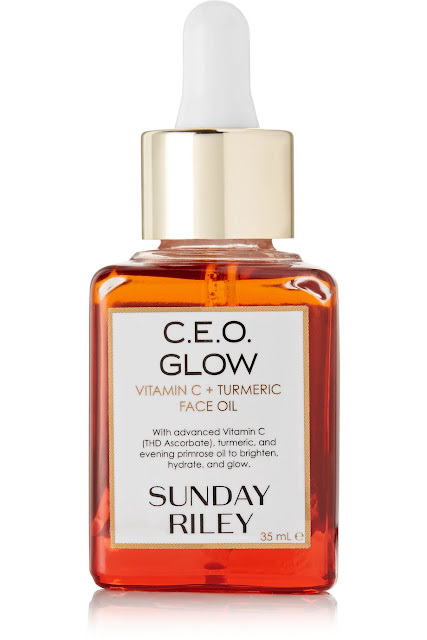 Sunday Riley C.E.O. Glow Vitamin C Turmeric Face Oil, at net-a-porter.com. 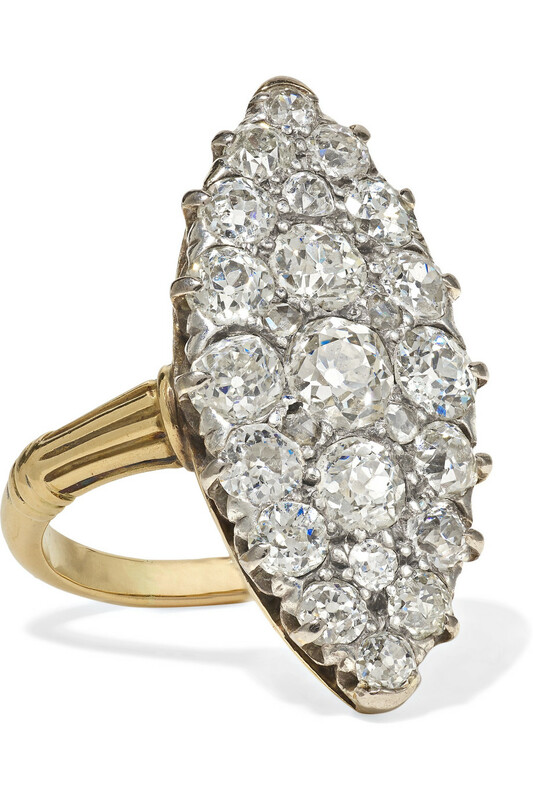 Fred Leighton 1900s 18-karat gold silver and diamond ring, at net-a-porter.com. 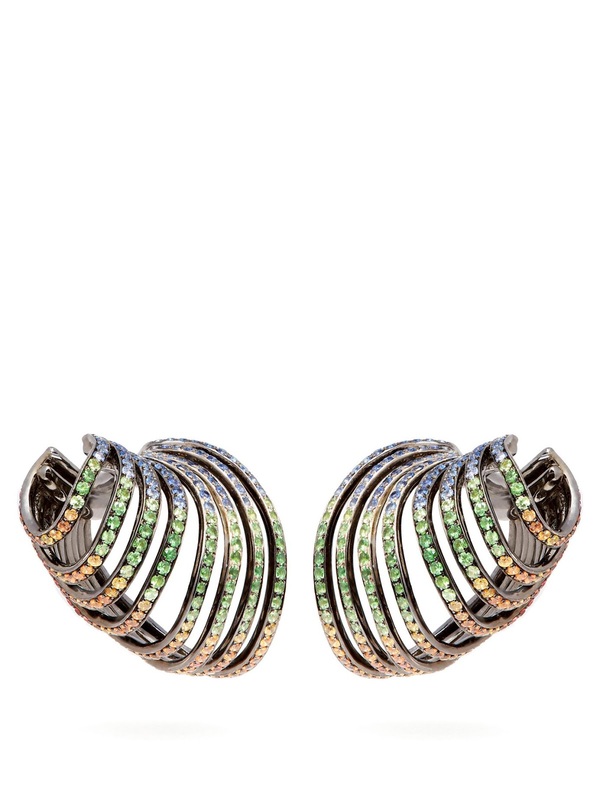 Lynn Ban Sonic sapphire and rhodium-plated ear cuffs, at matchesfashion.com. 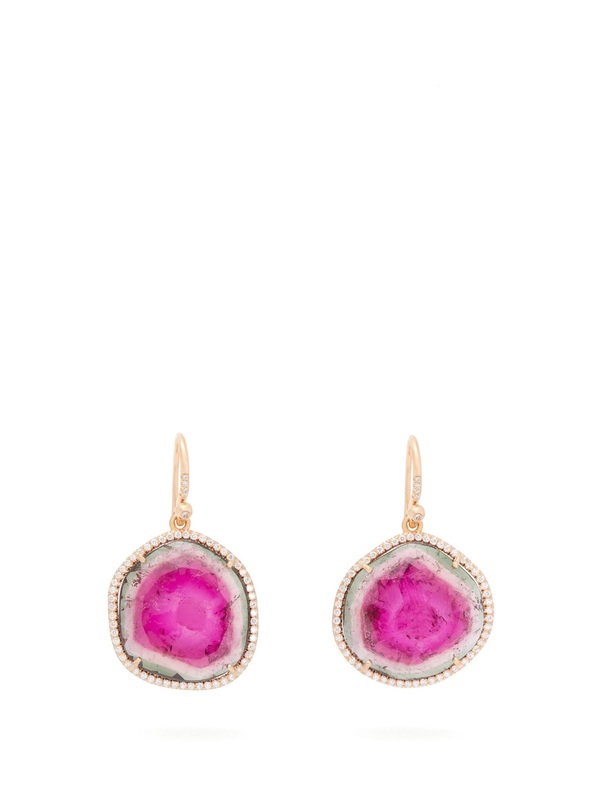 Irene Neuwirth tourmaline diamond and 18kt gold drop earrings, at matchesfashion.com. 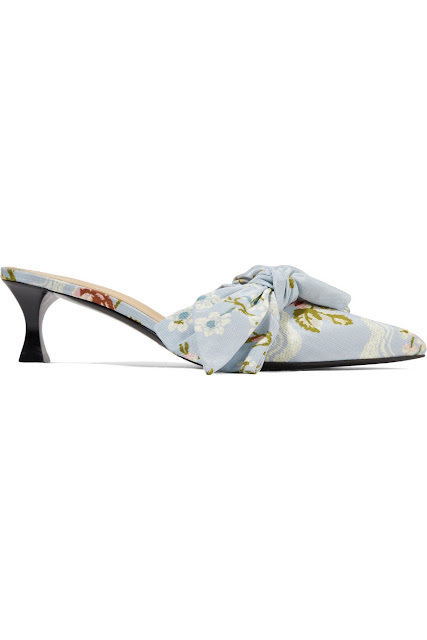 Brock Collection Tabitha Simmons bow-embellished jacquard mules, at net-a-porter.com. Tom Ford satin Mary Jane pumps, at net-a-porter.com. 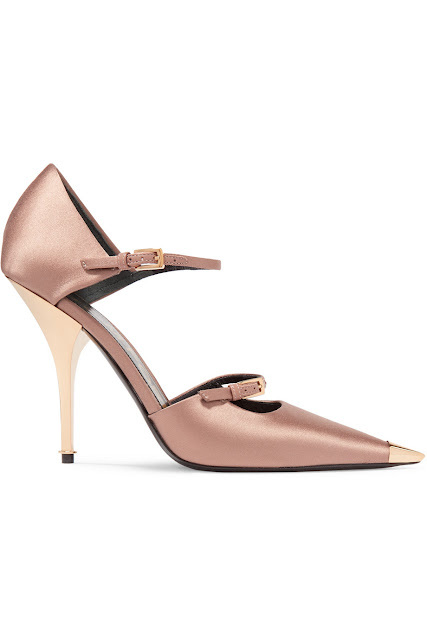 Jimmy Choo Love 100 metallic-leather pumps, at matchesfashion.com. 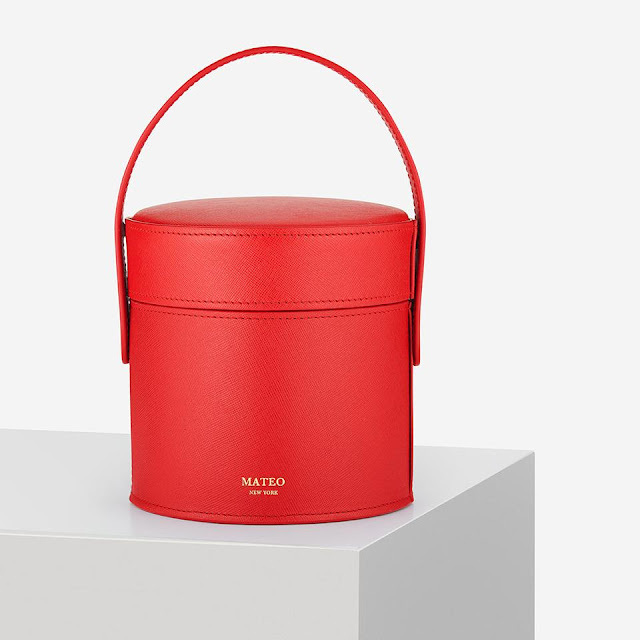 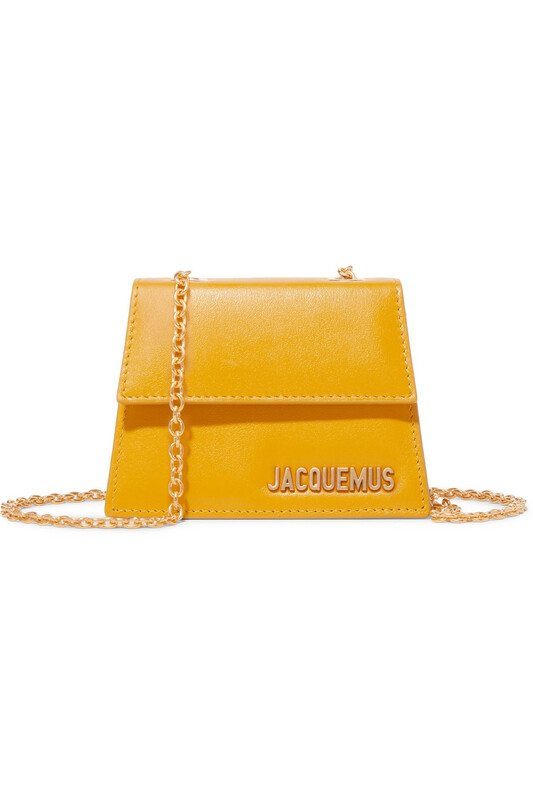 Jacquemus Le Piccolo leather shoulder bag, at net-a-porter.com. 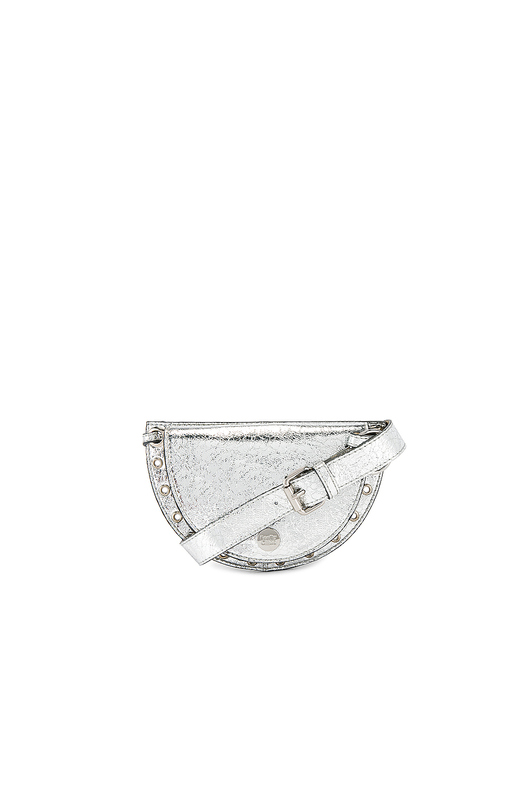 See by Chloe Kriss metallic belt bag, at revolve.com. Balenciaga Knife crystal-embellished stretch-satin ankle boots, at net-a-porter.com. 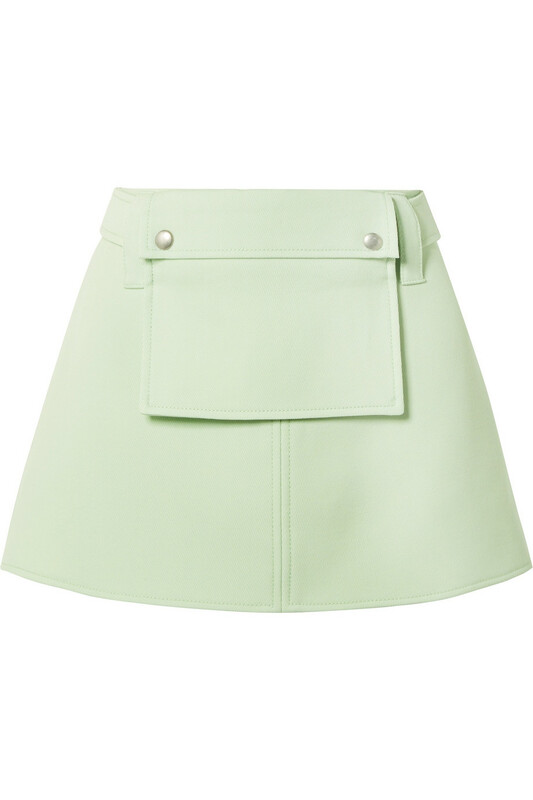 Courreges wool-twill belted mini skirt, at net-a-porter.com. 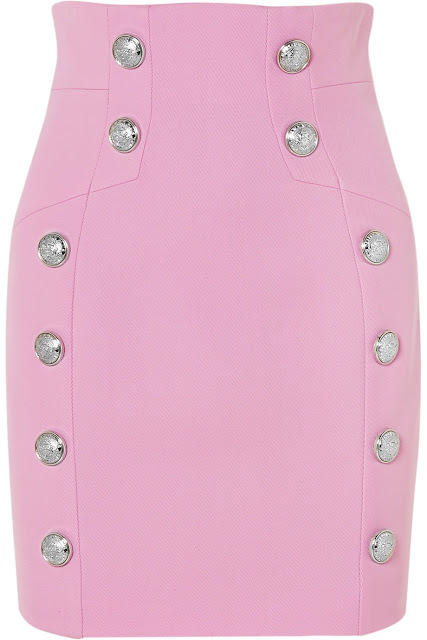 Balmain botton-embellished wool-twill mini skirt, at net-a-porter.com. 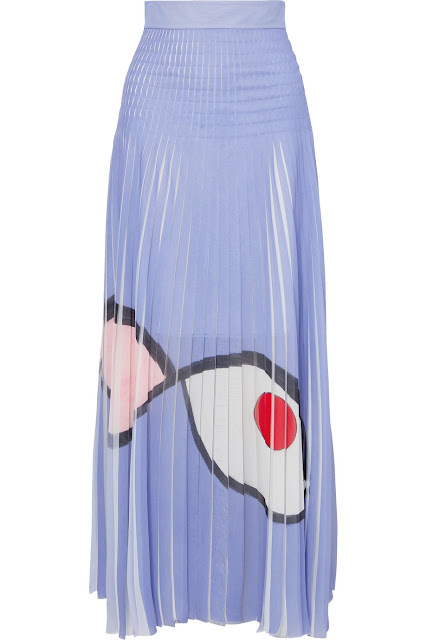 Akris frayed printed pleated plisse-organza maxi skirt, at net-a-porter.com. 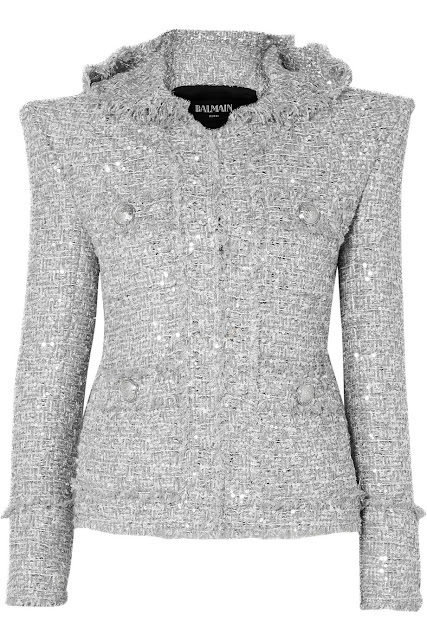 Balmain hooded embellished boucle-tweed jacket, at net-a-porter.com. 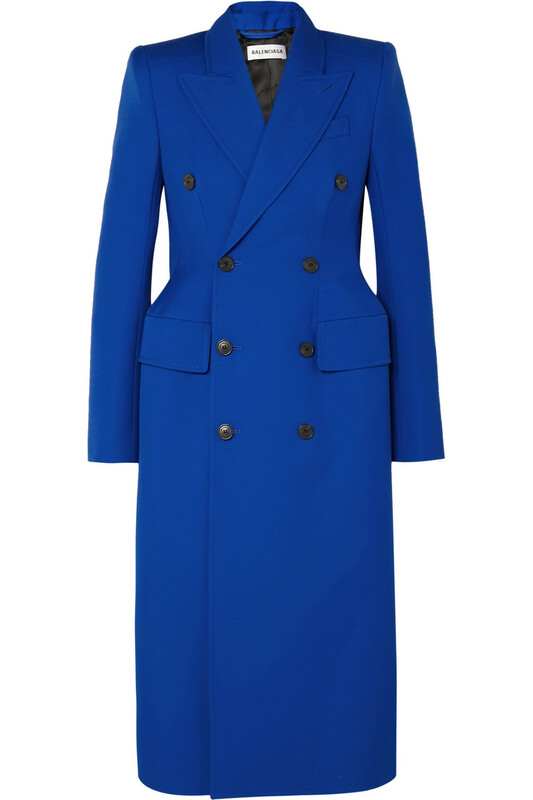 Balenciaga Hourglass double-breasted wool-blend coat, at net-a-porter.com. 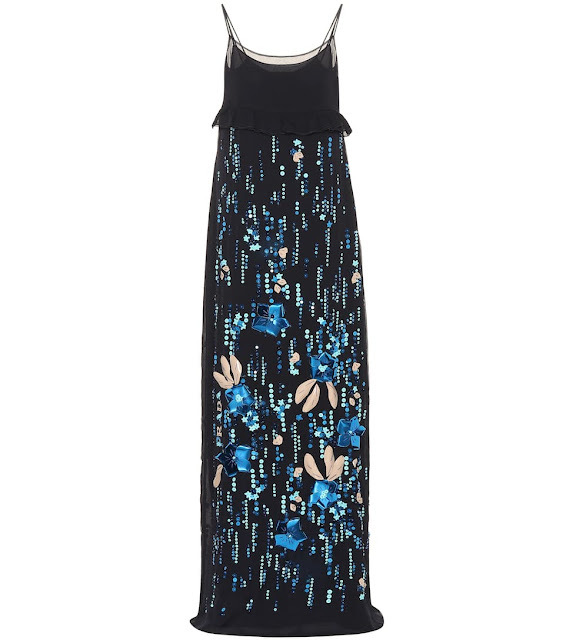 Marine Serre floral lace panel cotton-jersey T-shirt midi dress, at matchesfashion.com. 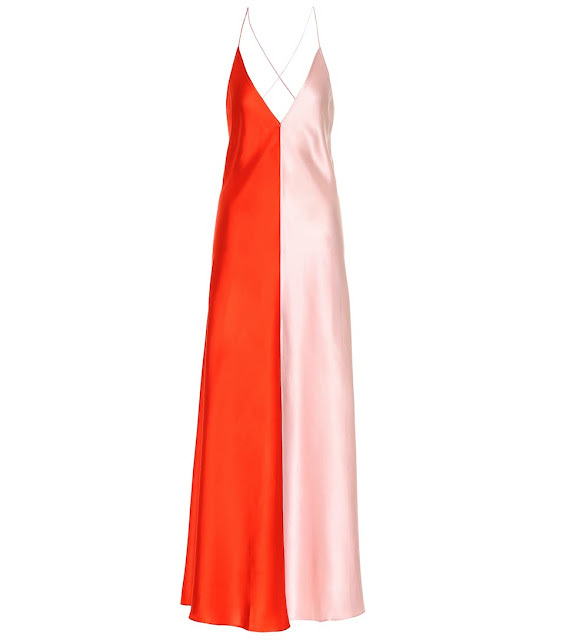 Caroline Constas Lola smock dress, at revolve.com. 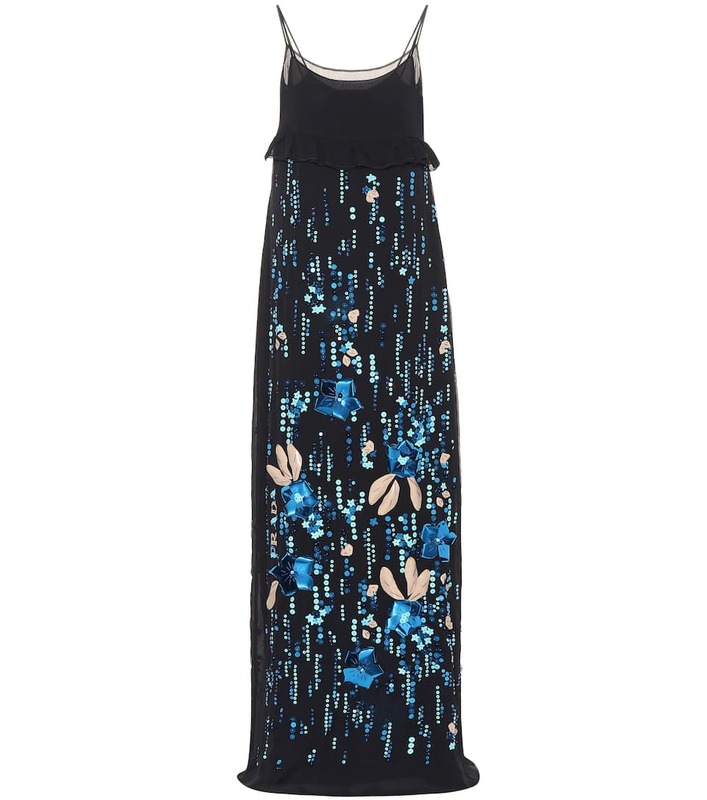 Mary Katrantzou perfume bottle-print maxi dress, at matchesfashion.com. 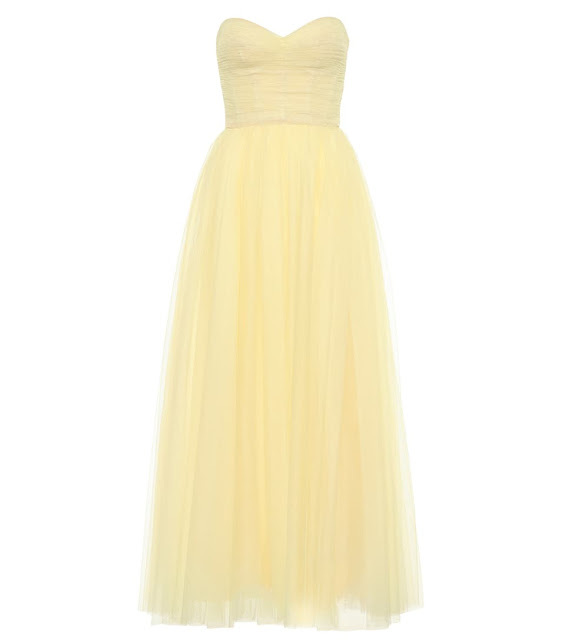 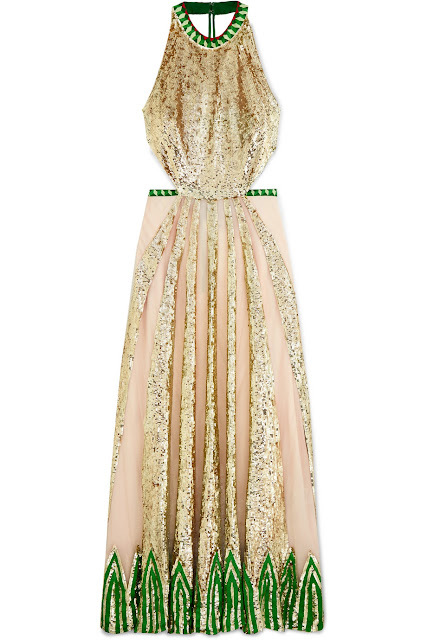 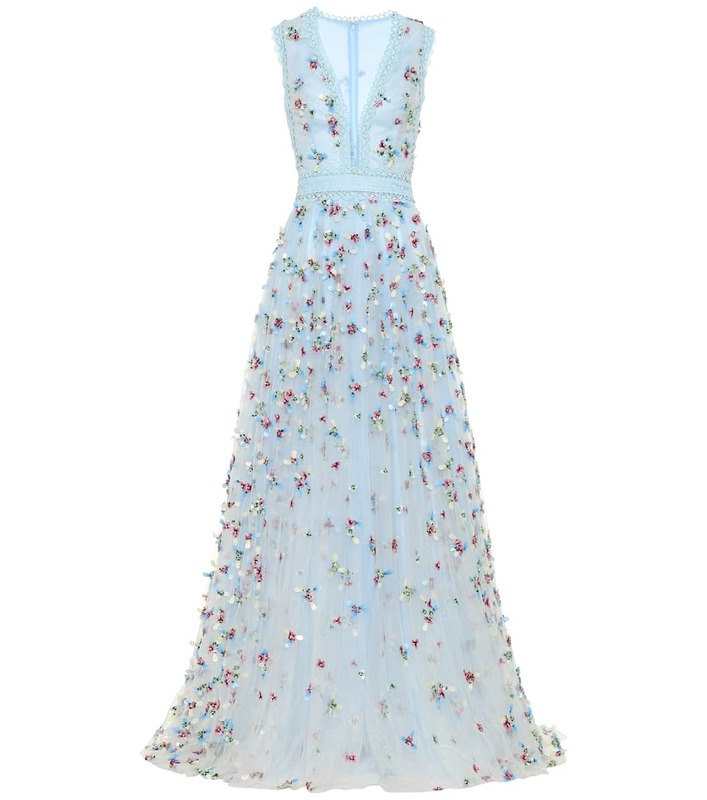 Temperley London Sycamore embroidered sequined chiffon and tulle halterneck gown, at net-a-porter.com. 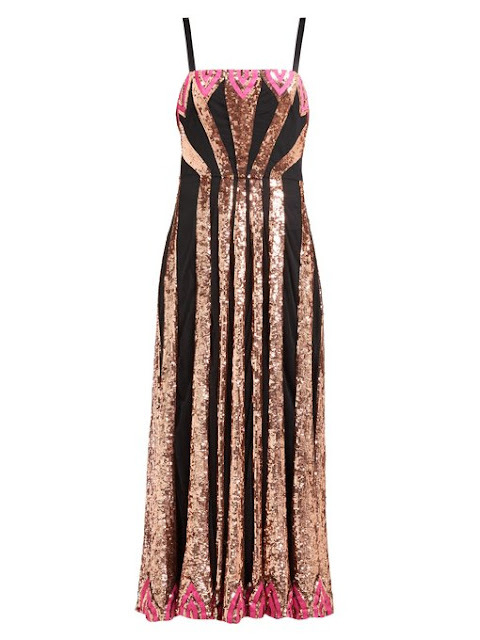 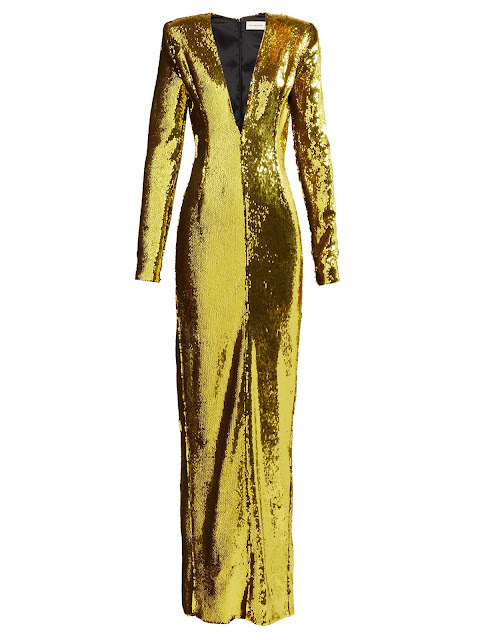 Alexandre Vauthier plunge V-neck sequinned gown, at matchesfashion.com. 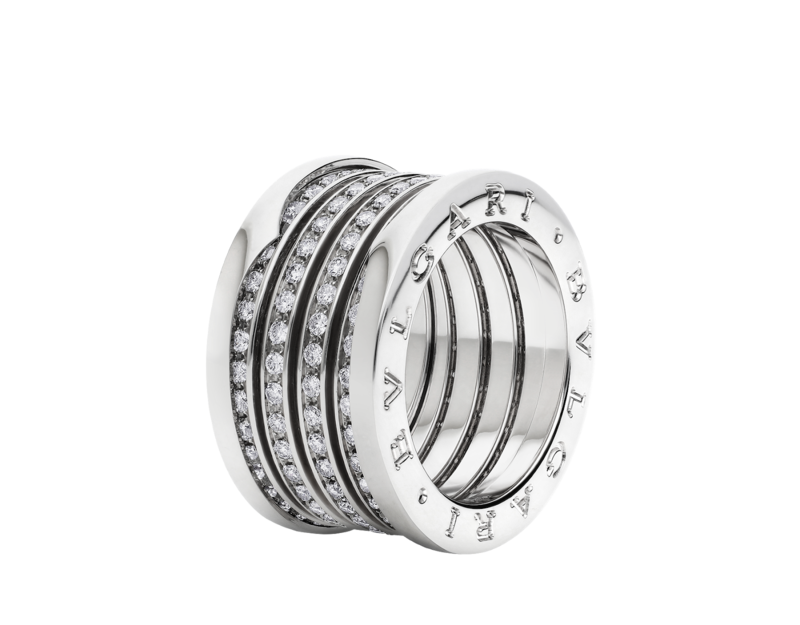 Bulgari B.zero1 ring in 18 kt white gold inset with pave diamonds, at bulgari.com. 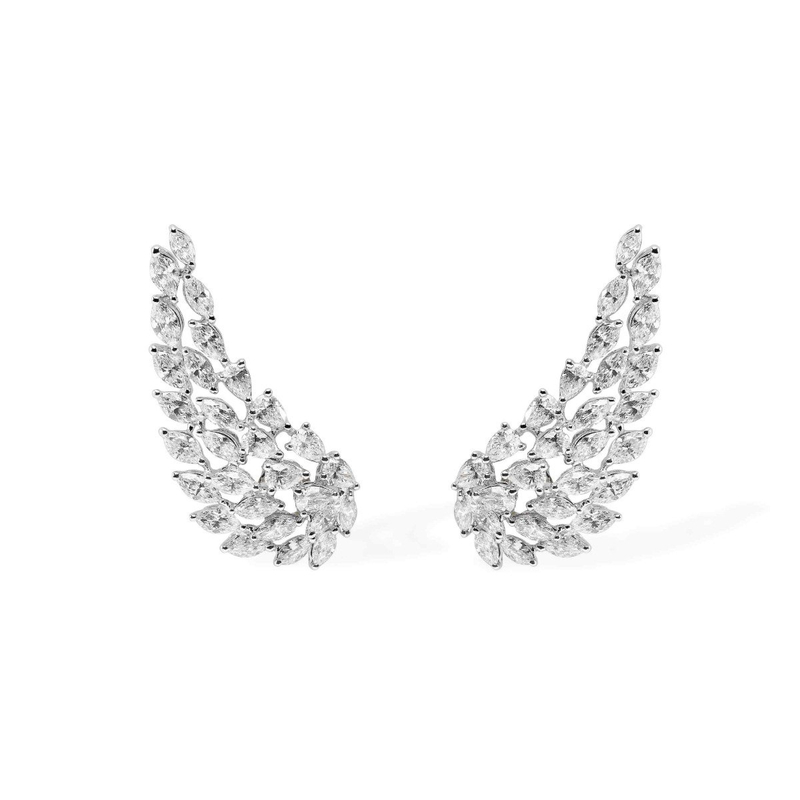 Messika Angel earrings in white gold and diamonds, at messika.com. 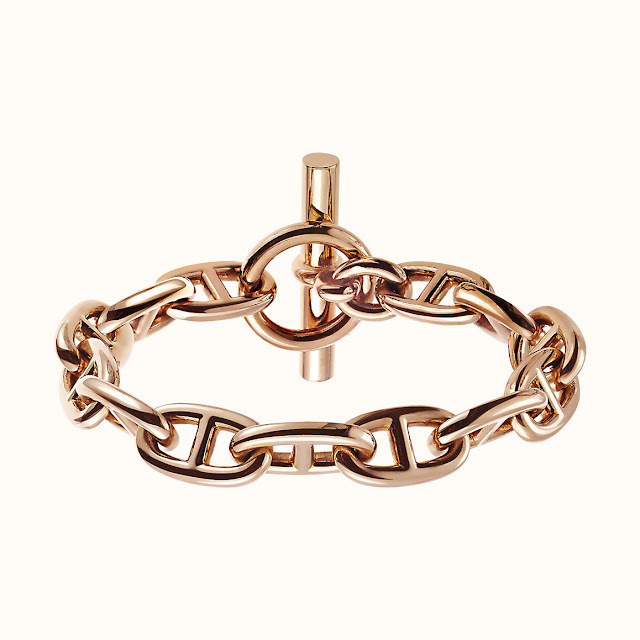 Hermes Chain d'Ancre bracelet in rose gold, at hermes.com. 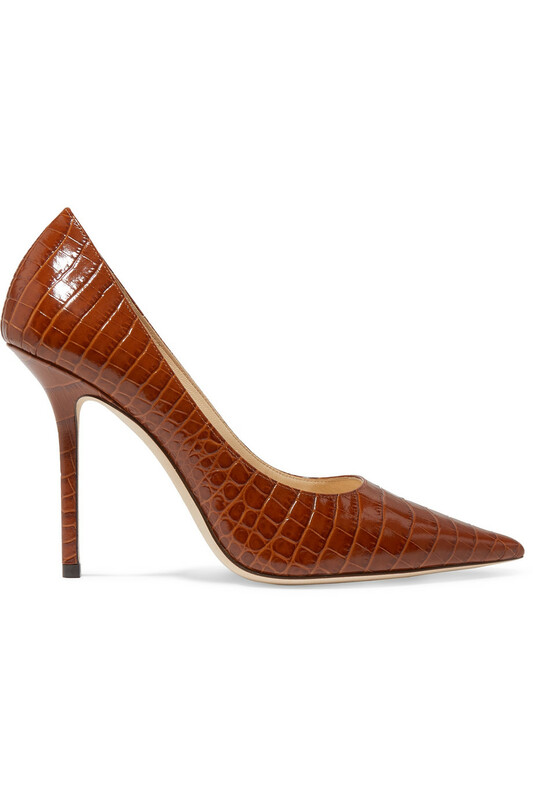 Jimmy Choo Love 100 croc-effect leather pumps, at net-a-porter.com. 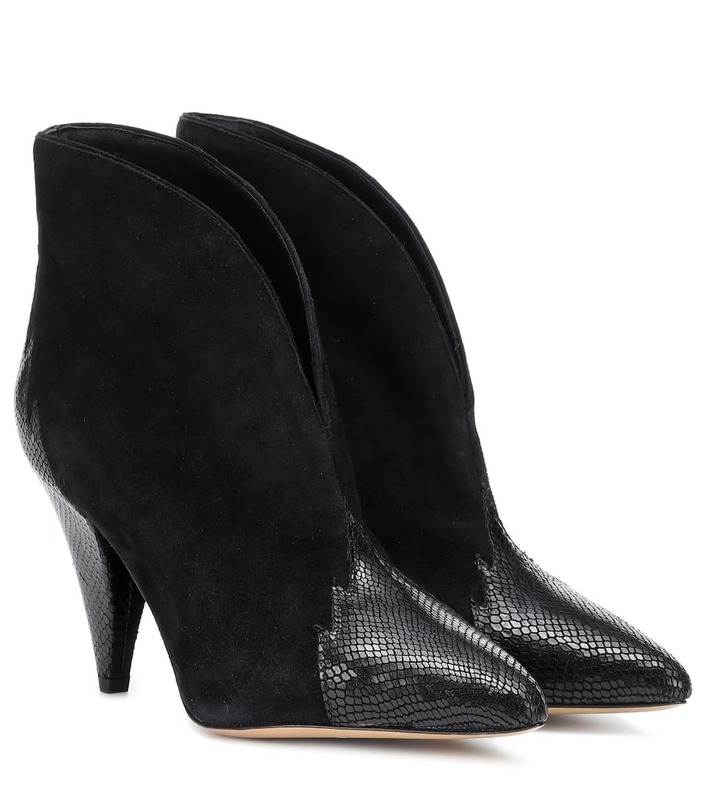 Isabel Marant Archee suede and leather ankle boots, at mytheresa.com. 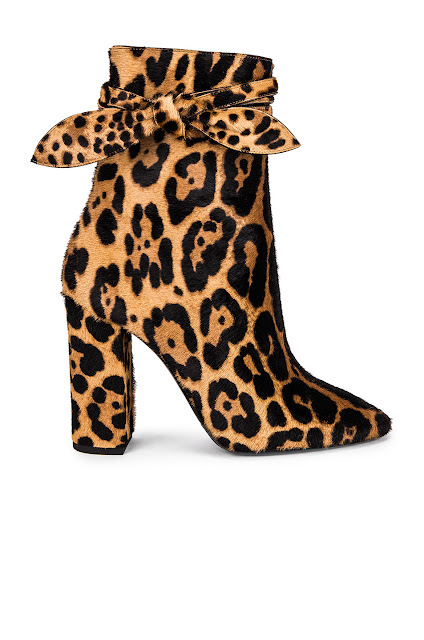 Saint Laurent Lou leopard bootie, at fwrd.com. Mateo New York Isabel bag, at mateonewyork.com. 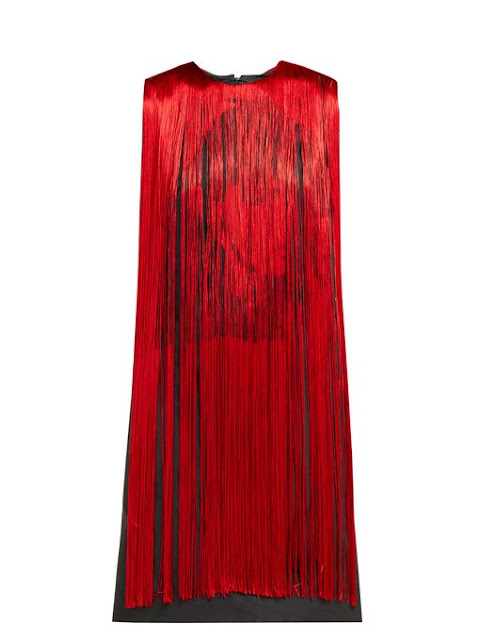 Rodarte appliqued ruffled tulle blouse, at net-a-porter.com. 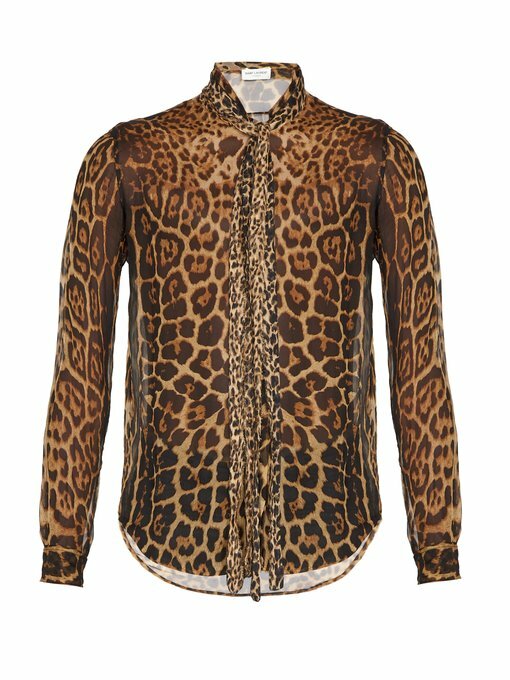 Chloe horse and stripe print top, at fwrd.com. Saint Laurent leopard-print chiffon shirt, at matchesfashion.com. MSGM two tone blazer, at revolve.com. Paco Rabanne floral PVC and chain dress, at mytheresa.com. 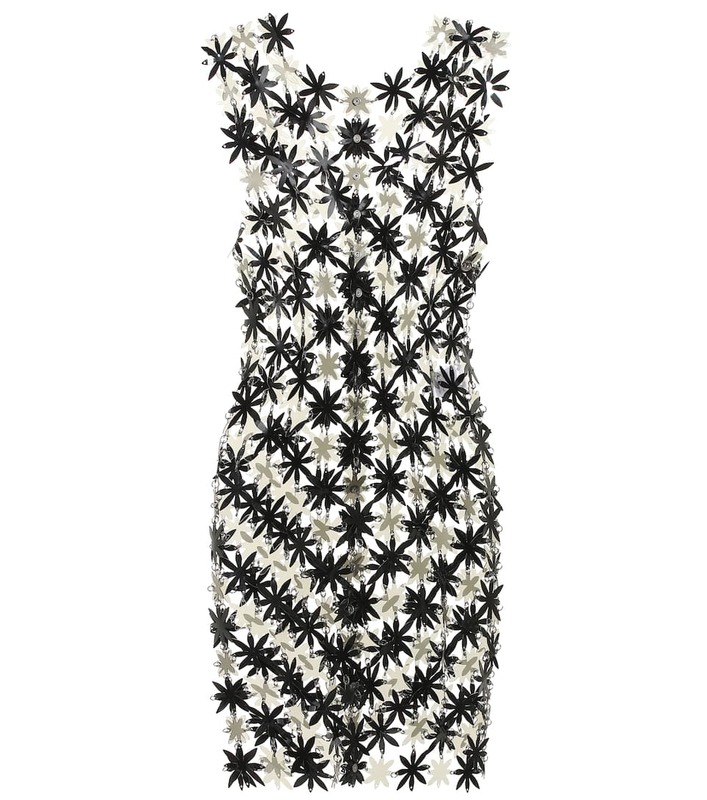 Versace one-shoulder ruched leather mini dress, at net-a-porter.com. 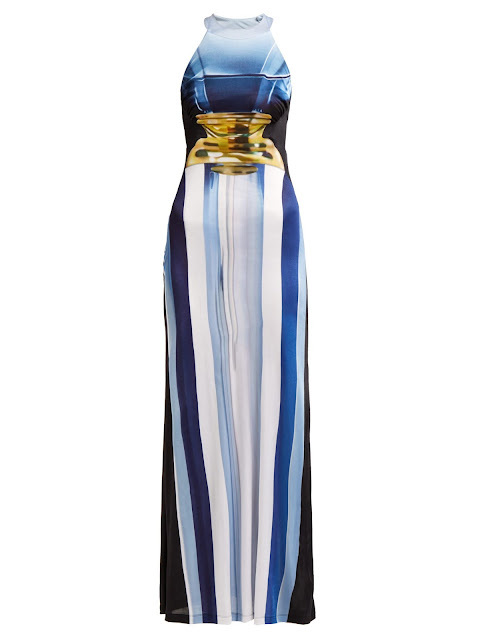 Balmain v neck tricolored stripe dress, at fwrd.com. 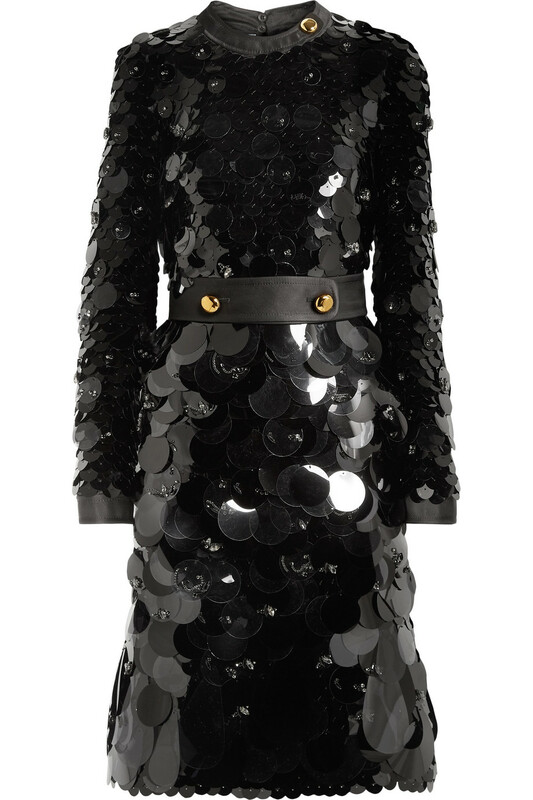 Prada belted silk-trimmed embellished chiffon dress, at net-a-porter.com. 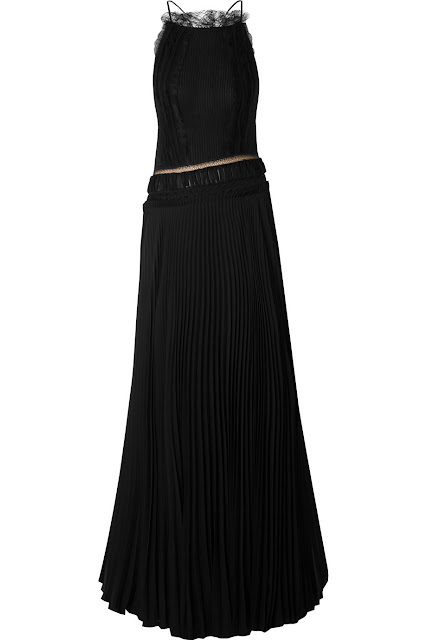 Altuzarra Olympia dress, at fwrd.com. 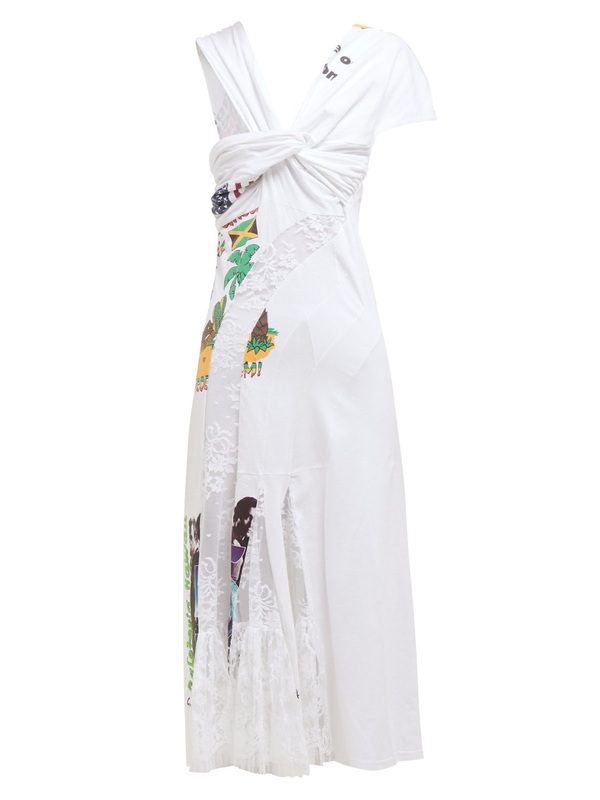 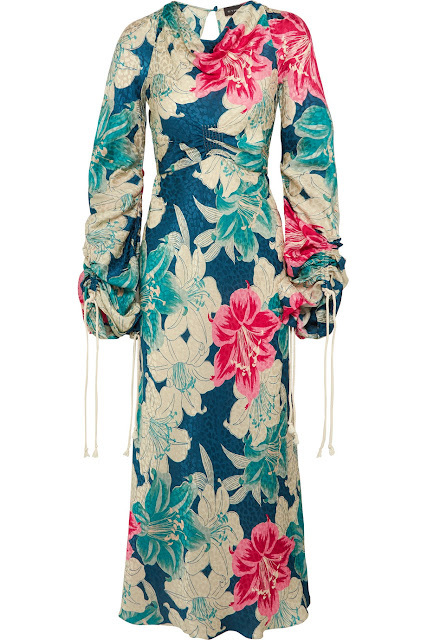 Etro floral-print silk-jacquard maxi dress, at net-a-porter.com. Jason Wu open-back lace-trimmed silk georgette and pleated gown, at net-a-porter.com. 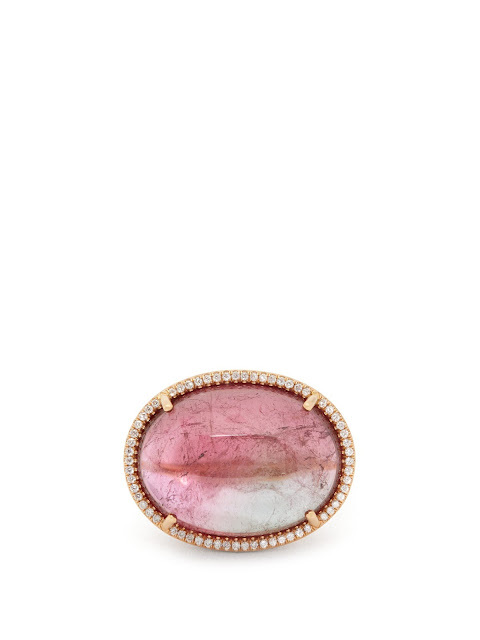 Irene Neuwirth tourmaline diamond and 18kt rose gold ring, at matchesfashion.com. 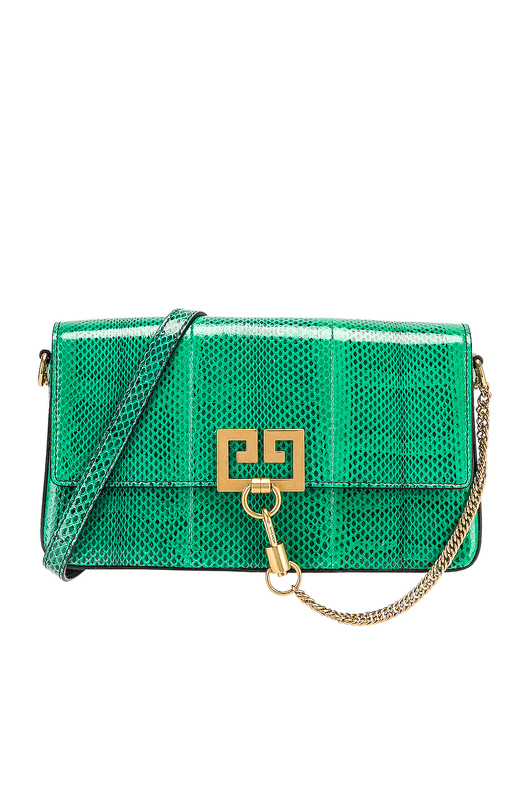 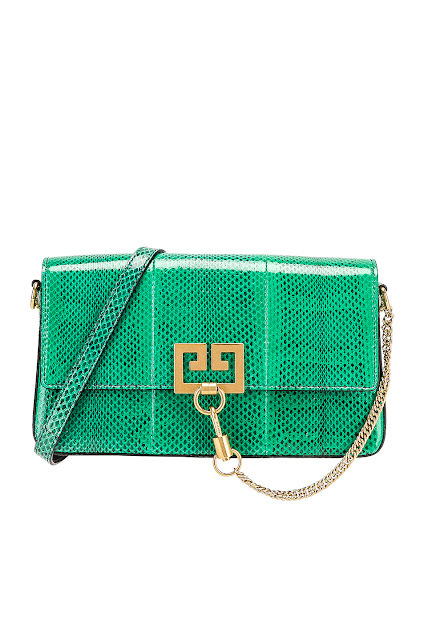 Givenchy small charm shoulder bag, at fwrd.com. 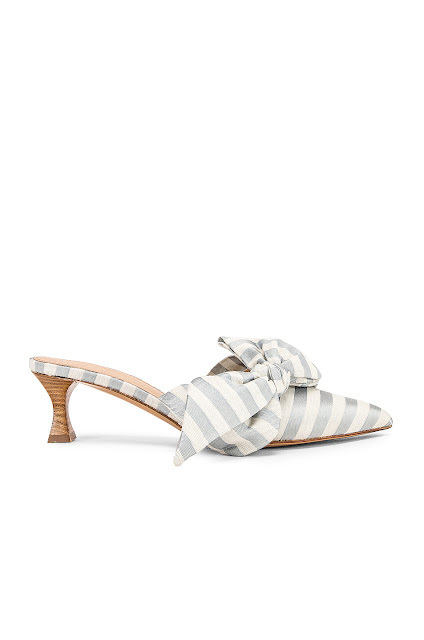 Brock Collection Tess striped bow heels, at fwrd.com. 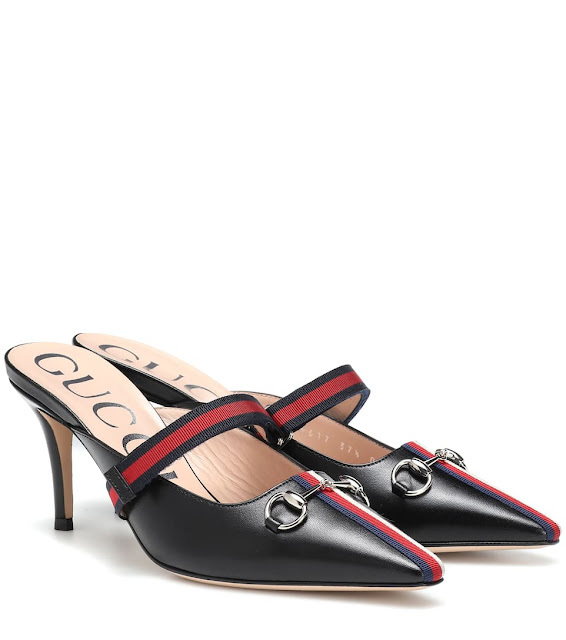 Gucci leather mules, at mytheresa.com. Attico leather sandals, at net-a-porter.com. 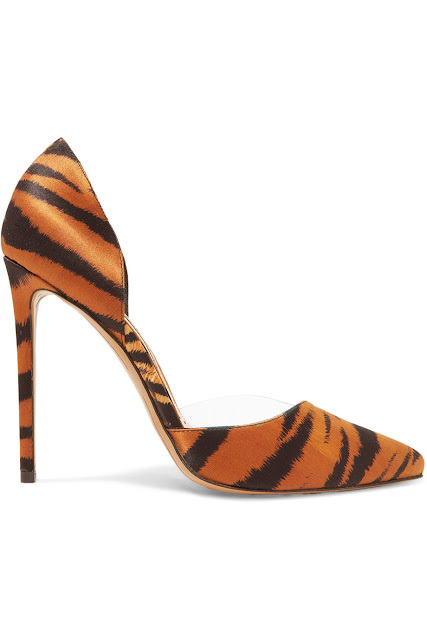 Alexandre Vauthier Angelina tiger-print satin and PVC pumps, at net-a-porter.com. 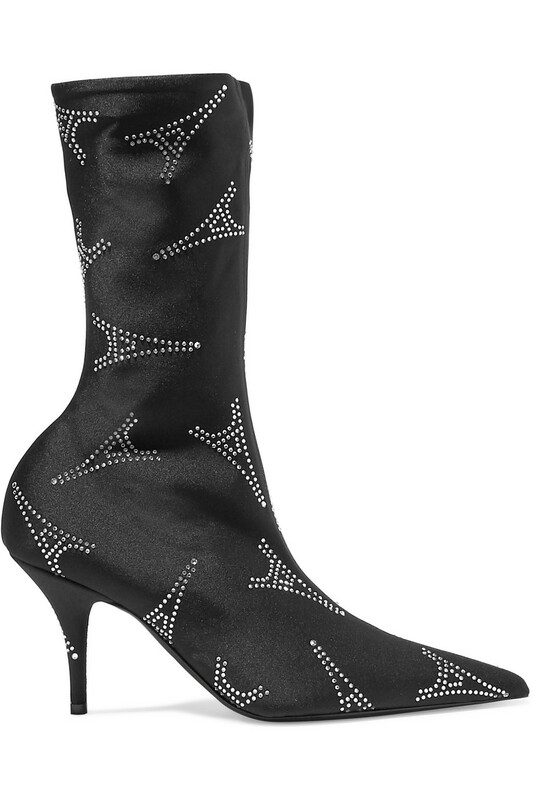 Isabel Marant Lyde laser-cut suede thigh boots, at net-a-porter.com. Gareth Pugh asymmetric pinstriped wool-blend blazer, at net-a-porter.com. 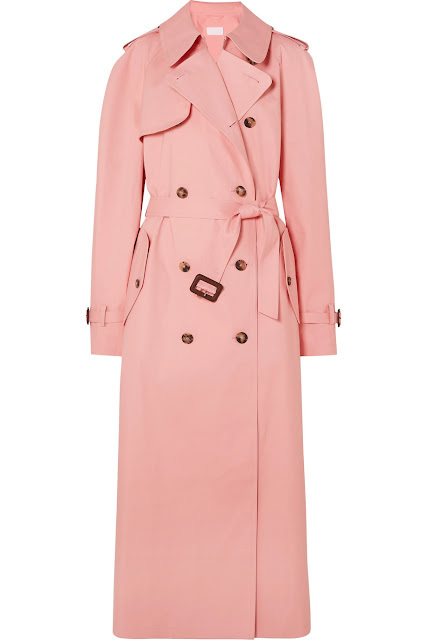 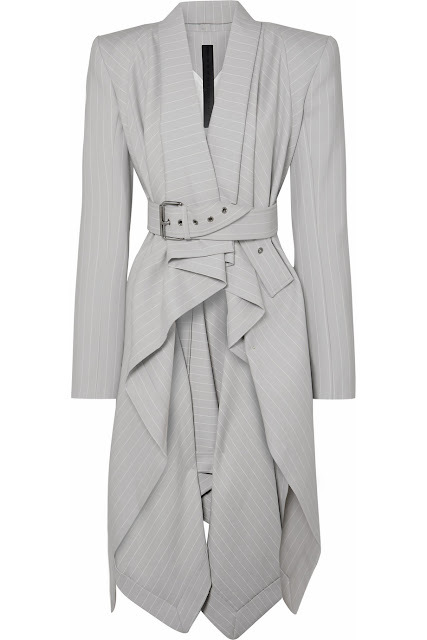 Maison Margiela + Makintosh belted cotton trench coat, at net-a-porter.com. 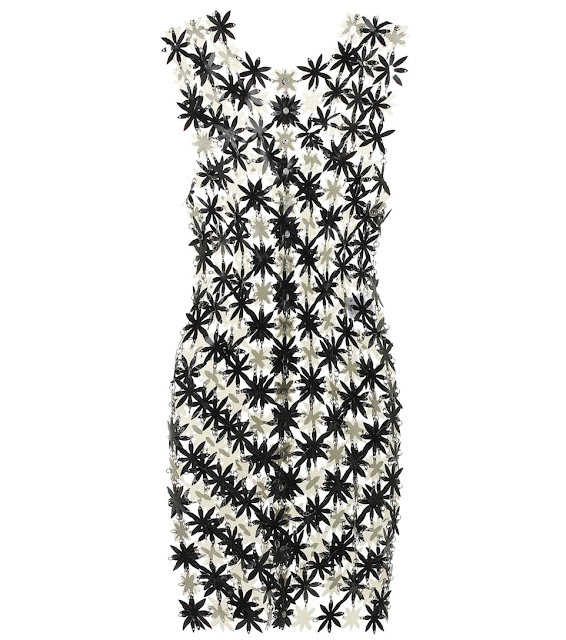 Balmain embellished strapless tweed mini dress, at net-a-porter.com. Calvin Klein x Andy Warhol Stephen Sprouse fringed dress, at matchesfashion.com. 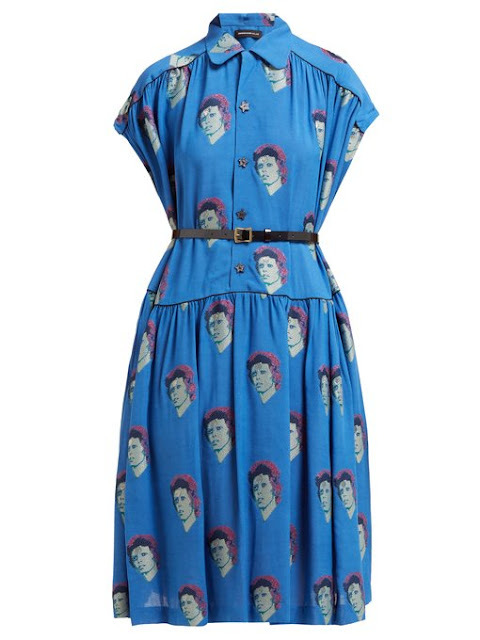 Undercover David Bowie fil-coupe crepe midi dress, at matchesfashion.com. Galvan paillette Mamounia, at fwrd.com. Lee Matthews silk maxi dress, at mytheresa.com. 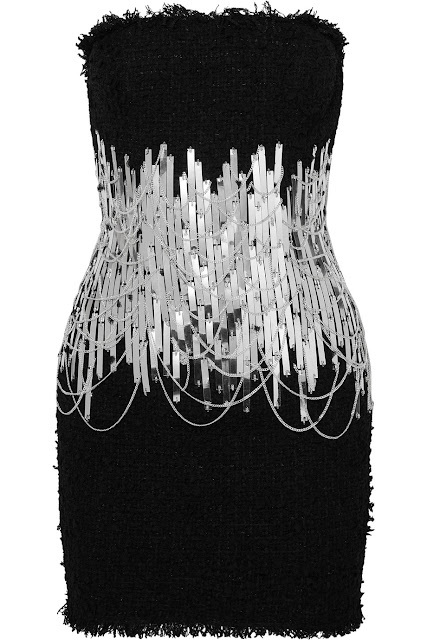 Temperley London Sycamore sequinned mesh dress, at matchesfashion.com. Prada sequined silk chiffon gown, at mytheresa.com. 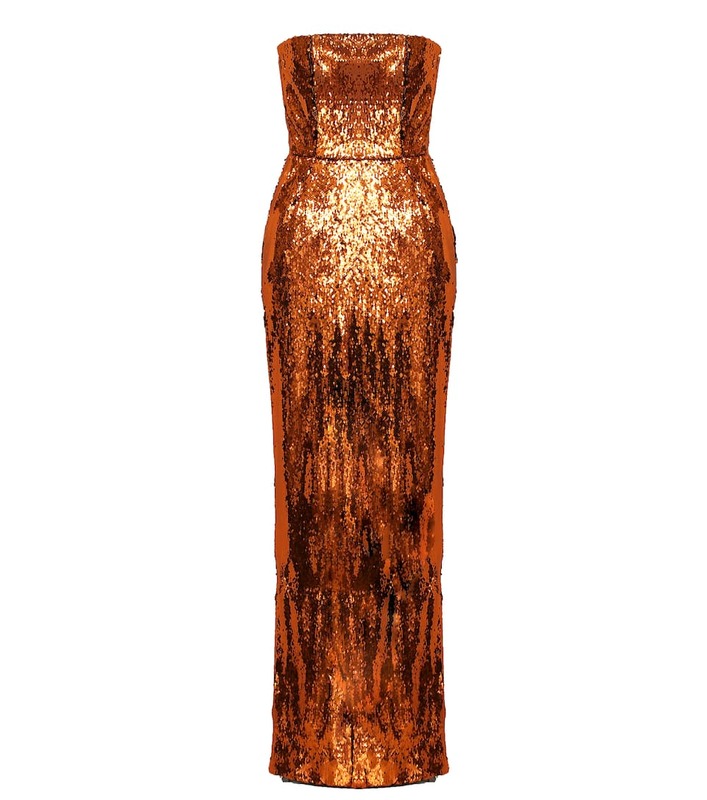 Alexandre Vauthier sequined strapless gown, at mytheresa.com. Costarellos embroidered silk and tulle gown, at mytheresa.com.